Soon snorkelers will begin canvassing the floor of Charlotte Harbor. They’ll be on a scavenger hunt of sorts—a hunt for data. The data they collect will help scientists get a better picture of the health of the harbor, and will ultimately help communities make more informed decisions about how the resource is managed, said Betty Staugler, who is leading the University of Florida citizen science project. Training for the Eyes on Seagrass program is set for April 11, from 7 to 8:30 p.m. at the Charlotte County Environmental Campus, 25550 Harborview Rd., Port Charlotte, FL 33980. They will focus on seagrass and seaweed because these two plants provide clues about the status of the harbor, said Staugler, a Florida Sea Grant agent with the UF Institute of Food and Agricultural Sciences Extension in Charlotte County. So, when seagrasses are thriving, that’s good news for the entire ecosystem. Seaweed, on the other hand, does better under conditions that are not as favorable to seagrasses, Staugler said. 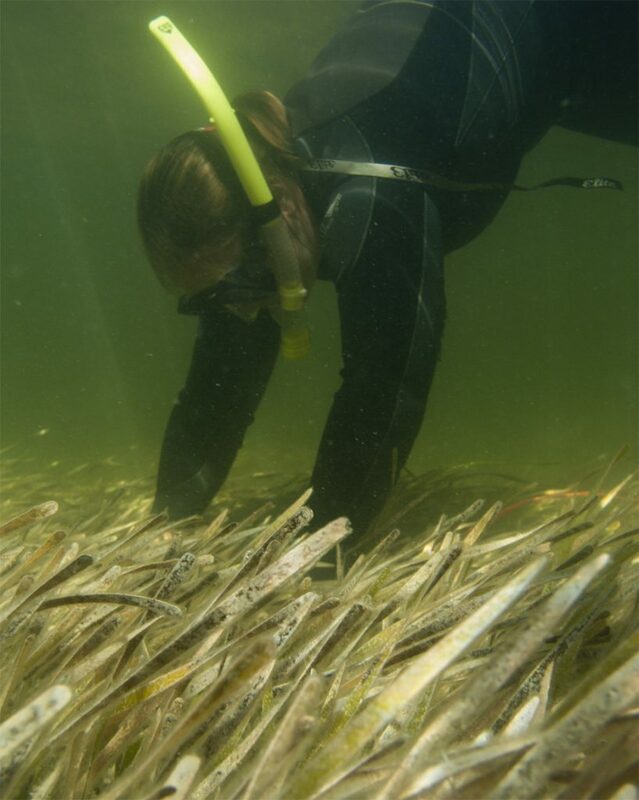 Volunteers will receive monitor gear and will work in teams of three anytime between April 12 and 25, and July 16 and 29 to survey seagrass and seaweed in upper Charlotte Harbor along the east and west shores. Volunteers must form their own teams (at least 3 individuals) and provide their own boat transportation, water shoes, mask, snorkel and fins. 20 survey teams are needed. For more information about the program or to preregister your team, contact Betty Staugler at staugler@ufl.edu or call 941-764-4346.